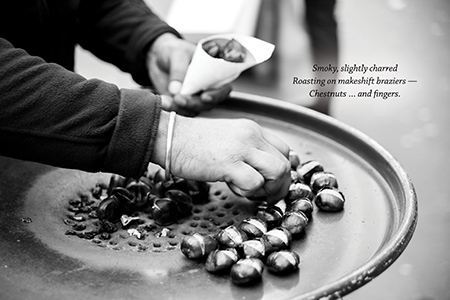 Welcome to the December 2017 edition of our newsletter Paris Panorama! After my second solo show in Paris, I was contacted by a woman who had seen it. She invited me to the balcony of her hotel room, which offered an amazing view of the Eiffel Tower. 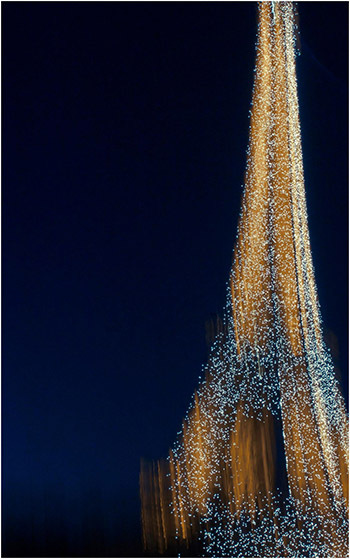 This is a long-exposure shot from that balcony of the tower during its sparkle. 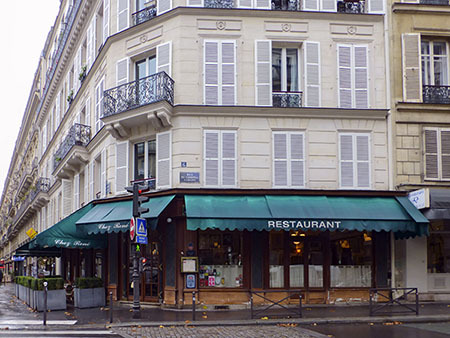 Chez René serves traditional French cuisine in a remarkable ambiance evocative of Parisian restaurants of the late 19th and early 20th centuries. 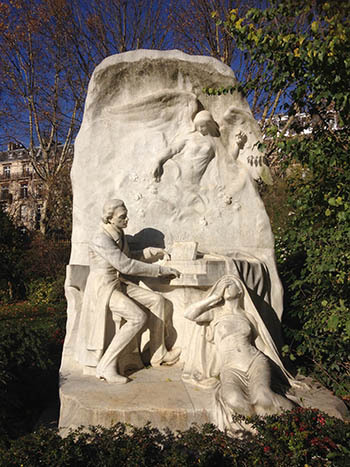 Along a verdant path in the beautiful Parc Monceau stands a lovely 1906 white marble monument to the great composer, Frederic Chopin. Sculpted by Jacques Froment-Meurice in the languid Belle Epoque style, a shrouded angel hovers over the dapper composer while a tragic figure reclines at the base. Chopin is portrayed at work on his Piano Sonata No. 2 in B minor, Opus 35. Composed in 1839, it came to be known as the Funeral March and was used at the state funerals of Kennedy, Churchill and Brezhnev.